Teeth whitening is one of the most popular cosmetic dentistry procedures. Mitchell Dentistry offers reliable, customized teeth whitening in Fort Myers. Advancements in dental technology make brightening the smile at our dental office quick and easy. Call our practice and schedule a consultation to find out how we can rejuvenate your smile in just a few short weeks! Teeth whitening has become a common cosmetic dental treatment available through dentists and over-the-counter methods. While most over-the-counter kits can remove the surface stains on your teeth, it can often take several months and last for only a short while. Additionally, the potency of the bleaching agent remains standard as a one-size-fits-all treatment, varying by only a few grades. Our Fort Myers practice has teeth whitening options to address each patient’s smile individually, ensuring they achieve their aesthetic goals. We accommodate all our patients’ dental needs, from those with sensitive teeth and gums to individuals that require additional brightening power. Our team of dental care providers assess your smile and recommend the solution best for you. Consuming coffee, wine, beets, and other dark-colored foods can stain the surface of our teeth, and these discolorations may become more apparent as we age. Teeth whitening treatment offers patients an opportunity to quickly enhance their teeth’s appearance using a minimally invasive method. To remove discolorations, our dentist applies professional-grade bleaching agents to gently brighten the smile and lift away stains. As a result, patient experience improved results immediately following their appointment. We provide take-home whitening trays so our patients have a flexible treatment plan, allowing them to brighten their smile at their convenience. Our practice offers varying grades of bleaching power to accommodate each individual’s smile accordingly. Patients who choose to proceed with the at-home treatment option must attend two appointments prior to receiving their appliances. The initial visit involves obtaining impressions of your dental anatomy so our trusted local lab may craft your whitening trays to snugly fit the contours of your teeth. This allows for even distribution of the bleaching agent. Your next appointment is where our dentist provides you with instructions to ensure you achieve the shade of white you desire. 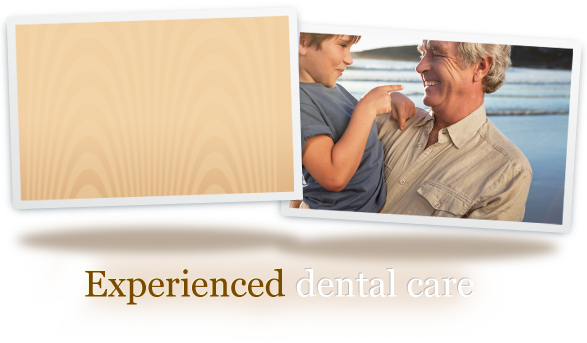 Contact Our Fort Myers Dental Practice! For patients who wish to obtain a whiter smile, may do so with the teeth whitening treatment available at Mitchell Dentistry. Our Fort Myers dentist enjoys seeing patients have increased confidence in improving the appearance of their teeth.